The threats to the existence of great apes are increasing, A root cause is a pervasive lack of awareness among the people of Africa. 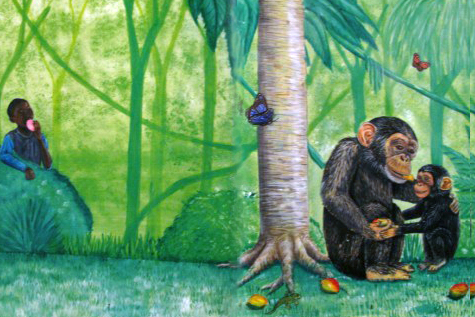 To save great apes from extinction, there’s an urgent need for widespread conservation education. Cameroon is a vital country for ape biodiversity. PASA and our member organizations in Cameroon – Ape Action Africa, Limbe Wildlife Centre, and Sanaga-Yong Chimpanzee Rescue – are conducting a pioneering program to integrate wildlife conservation into the national school curriculum, so that all schoolchildren in Cameroon will learn the value of conserving wildlife and their environment. The goal is to produce a nationwide shift in behaviors and attitudes about conservation, which can protect Cameroon’s endangered species from disappearing forever. Please donate today to save Cameroon’s endangered wildlife. We ran a successful pilot program in which the organizations unified their content and techniques and taught nearly 1,000 students to value and respect wildlife and their habitats. Pre- and post-tests showed a dramatic increase in the students’ appreciation for wildlife conservation. The next phase is to expand on the pilot with a much bigger program in Cameroonian schools. This will set the stage for collaborating with the government to add wildlife conservation to the school curriculum. Cameroon’s great apes and monkeys urgently need you. You can help save them by making a contribution today. 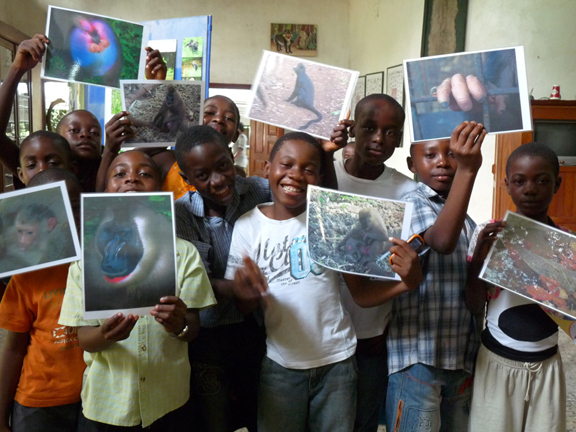 Limbe Wildlife Center’s Nature Club focuses year-round on educating children about conservation.